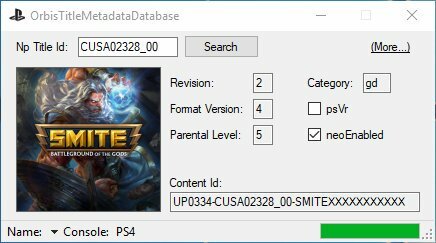 Today developer Red-EyeX32 has released a new homebrew named OrbisTitleMetadataDatabase for the Playstation 4. Check out the release notes, changelog and the download link provided below. The origin of this software must not be misrepresented; you must not claim that you wrote the original software. If you use this software in a product, an acknowledge in the product documentation is required. Contact must be made to discuss permission and terms.